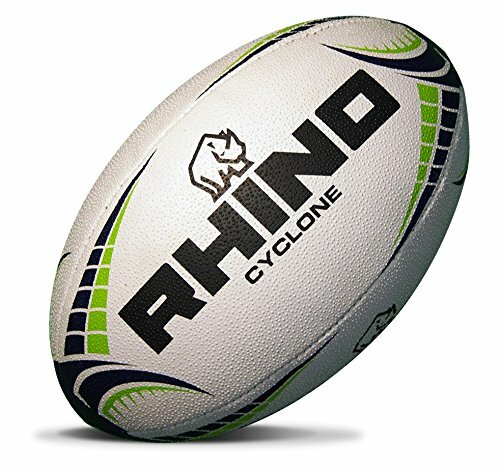 The Cyclone Practice Ball is perfect for teams who want a long-lasting yet reliable ball. We recommend this ball to all entry-level teams, or any team with a limited budget. 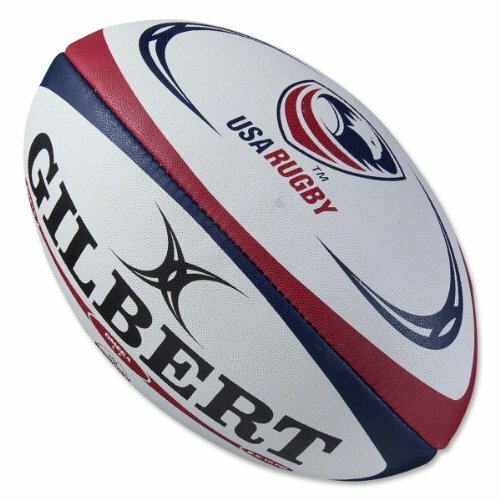 Match Balls are made with more natural rubber which gives a better grip, but the grip does not last as long as the training balls which contain less natural rubber.Play with one of the top branded balls in this game while showing support for the USA Eagles! 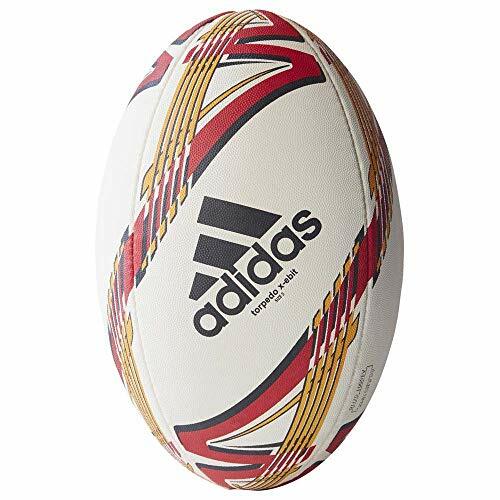 A hand stitched ball built to fly true.Made for 15-aside, sevens and touch rugby, this men's rugby ball has been hand-stitched to help with accurate kicking and passing. Made of rubber and including a latex bladder, it features a bold spiral graphic. Features a bold spiral graphic. 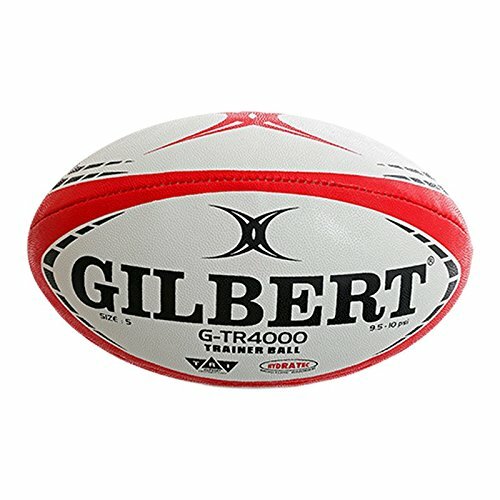 Designed and developed to provide outstanding performance, the G-TR4000 Trainer Rugby Ball - Black is perfect for club rugby, school, and junior rugby. The Photon is a high-quality match ball for any level of play. Perfect for game play or elite-level training that requires perfect accuracy. 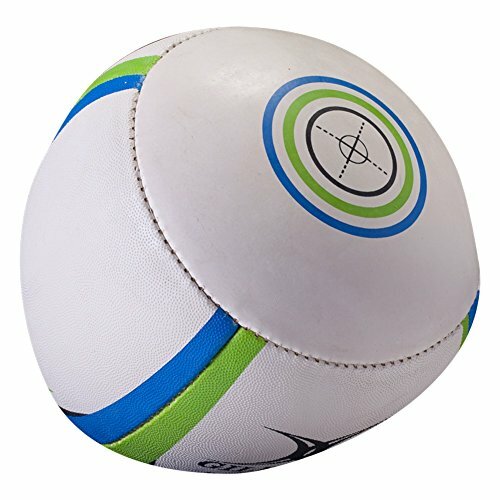 A reflex practice ball is designed to bounce off of hard surfaces and return to the thrower, making it the ideal tool for a rugby player to practice their pass. The ball is lightweight and can be used just about anywhere. Many people use a reflex practice ball to improve their catching and throwing skills. It is often used by people who are training in martial arts or boxing -- sports in which a fast reaction time is critical and training reflexes is an important part of practice. A reflex practice ball can also be used to improve speed and agility. That is why it can benefit people who are training in any type of sport, including basketball and football. Many people use a reflex practice ball as a stress reliever. Not only does the reflex practice ball help people alleviate stress, but it can also help you burn a few calories. Its distinctive design allows you to throw it against a wall and it will bounce right back to you! 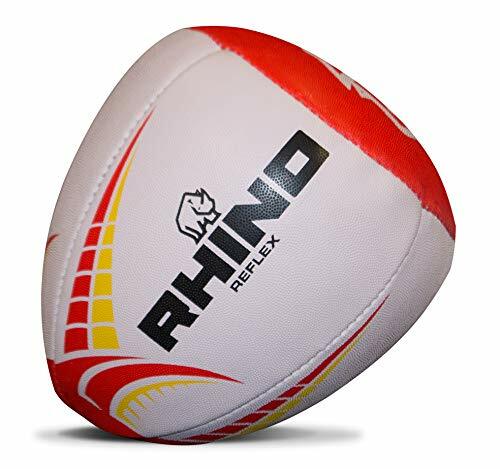 By flattening one end of the ball, the design of the Reflex Rugby Ball helps to simultaneously improve your throwing and catching skills. 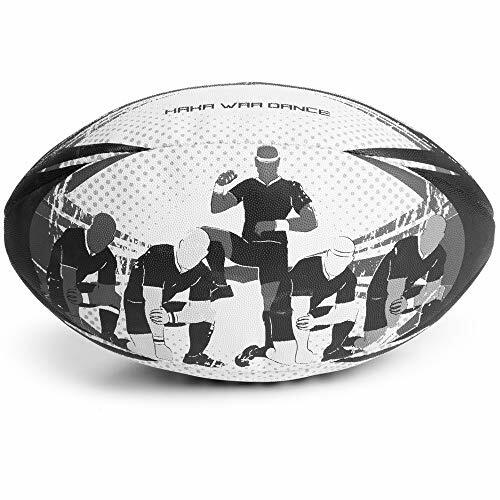 Makes a great gift for any rugby player looking to improve their fundamental skill set. 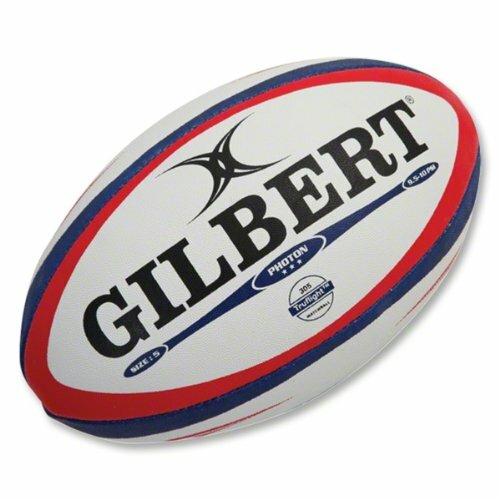 The Gilbert Rebounder Match Ball is a half ball which allows for practicing without a partner. Constructed with injection molded ABS black plastic. 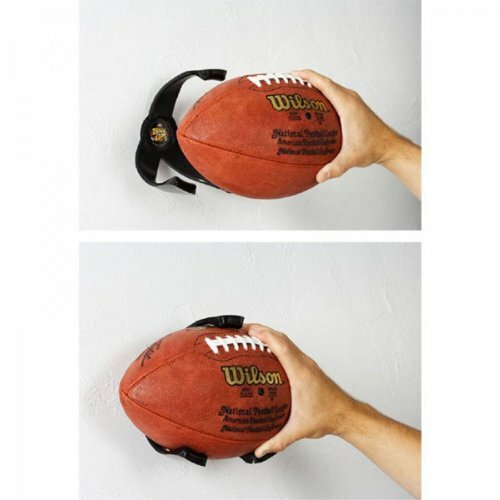 Ball Claw design flexes slightly to grip a football for storage or display. Football holder can accommodate football sizes from youth and high school to college and professional number 3 size footballs. Rounded claws allow for smooth and simple gripping or removal of ball. Perfect accessory to hold footballs on the garage wall. 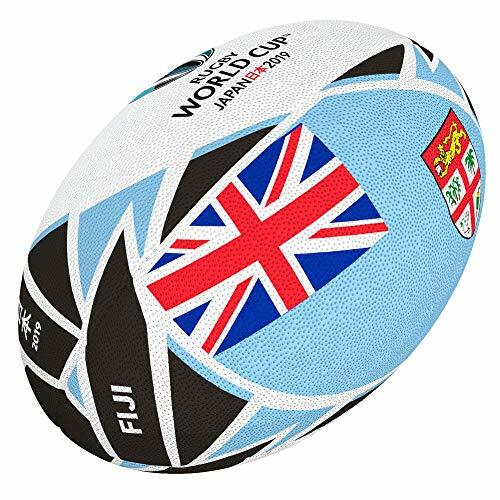 Get behind Fiji with the official Fijian Rugby World Cup 2019 flag ball. The Fiji flag ball combines a Fijian flavor with subtle detail and intricate nods to the RWC 2019 tournament in Japan. 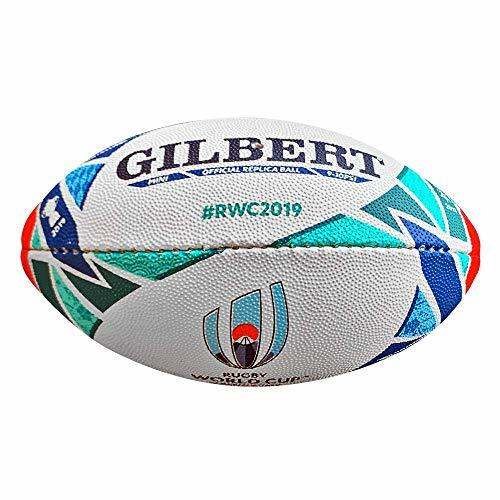 The Gilbert Rugby World Cup 2019 Japan Mini Rugby Ball is a must have when supporting your country. A small fun ball that is Constructed with a 2 Ply backing material for good shape retention, Grippy rubber compound surface to keep hold of the ball, Hand stitched with Synthetic latex bladder for excellent air retention. Added details include England Rugby logo and team colours to the outer. Deflated. 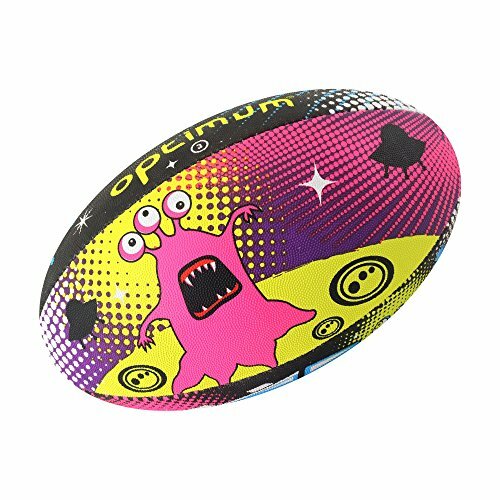 The optimum space monsters mini rugby ball is a standout design for rugby fans. A smaller version of its bigger counterpart this ball is made with a top grade rubber outer with a durable 2ply construction, dimple super grip outer surface, balanced weight for better flight and 4 panel design with graphic prints to outer panels. 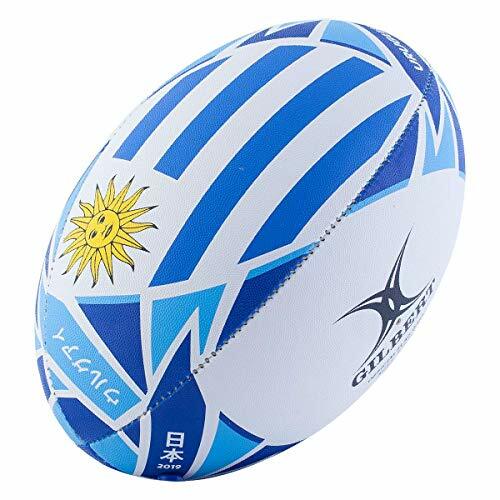 Official Rugby World Cup 2019 Flag ball that honors Uruguay. Grippy rubber compound surface. Synthetic latex bladder for air retention. Standard grip. 2-ply backing. Official tournament logo. Design pays tribute to Uruguay's flag. Synthetic latex bladder for air retention. The Haka has been a rugby tradition unlike any other. Derived from the traditional Maori war dance, the intimidating movements have been a staple of New Zealand sports that has been adopted to other teams all over the world. From college football teams to pacific national soccer teams and more, the Haka persists as an iconic pregame warmup that strikes fear into opponents. 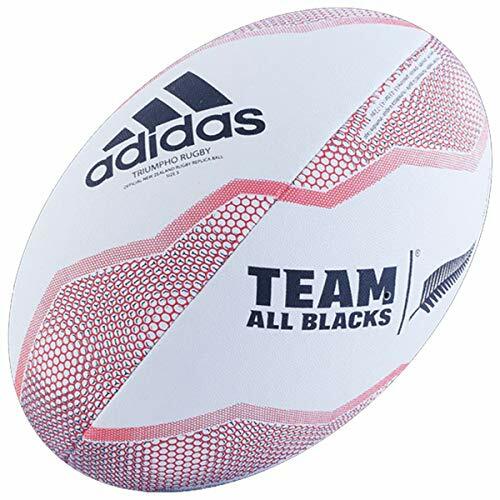 Now you can honor and celebrate this beautiful tradition with this Haka War Dance Rugby Ball from Crown Sporting Goods. The Black and White design evokes the most feared rugby team in the world and illustrates the first ""Au, au, aue ha!"" portion of the Dance. Your teammates will feel invigorated and have your opposition trembling when you bring this ball to the match! This ball is made from durable rubber material and hand stitched for consistent high quality. 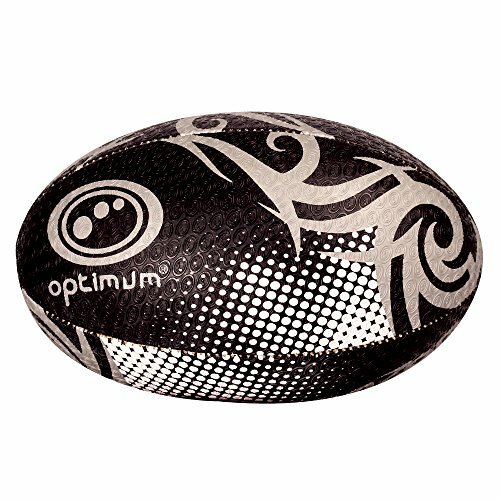 The gripped surface ensures you'll hang on to the ball in a scrum and be able to toss with maximum accuracy. Ball is capable of holding up to 10 PSI and will retain its inflation no matter how rough your game gets out there. 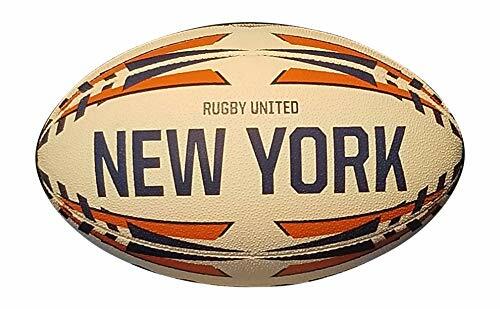 ULTRA-DURABLE RUGBY BALLS - To provide you with a hard-wearing rugby ball, its outer panels are manufactured from a blend of 60% synthetic and 40% natural rubber. These panels are then reinforced with laminated layers of polyester viscose and cotton canvas, further increasing the balls lifespan. HAND STITCHED RUGBY BALLS - Keeping this ball tightly bound together are hand stitched seams. These tight fastenings also help the training rugby ball to maintain its regular shape and prevent any potential separation from occurring. 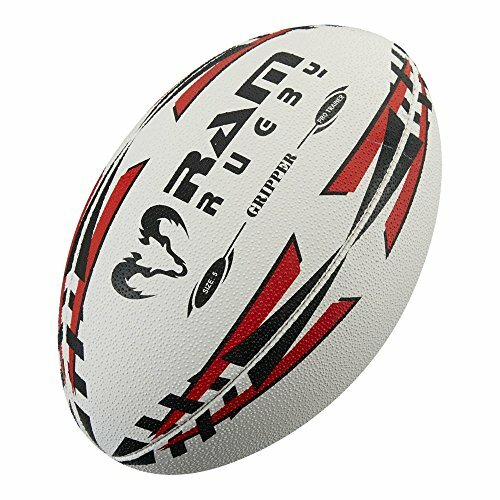 FOR RECREATIONAL USE - Ideal for schools, this rugby ball is available in three sizes which are suitable for players as young as 6, up to senior players aged 15 and above. 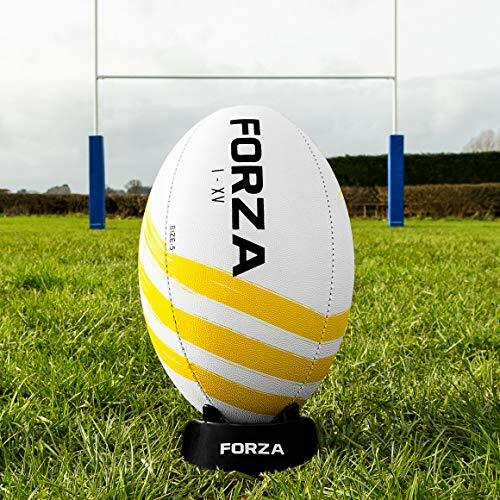 MULTIPLE PACK SIZES - Whether you would like a single rugby ball for the garden. 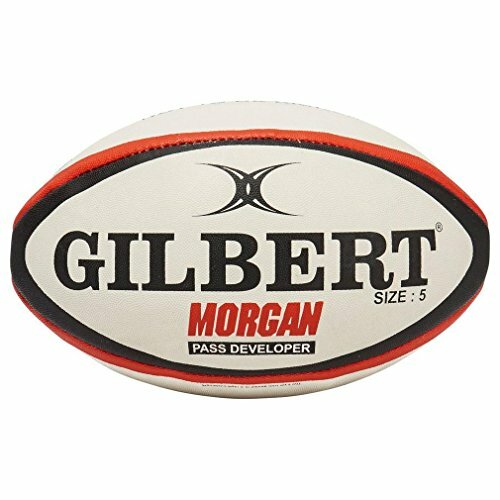 or plan to replace your school's current rugby equipment, this practice rugby ball is available individually, in packs of 5 or jumbo packs of 25. FAST SHIPPING - Shop with Net World Sports for a fast service from checkout to delivery.